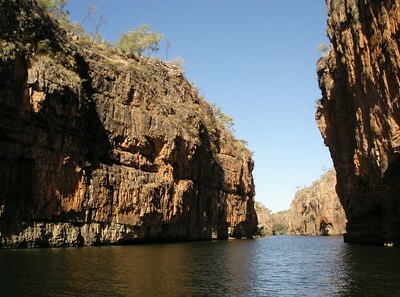 Aboriginal rock paintingsat Katherine Gorge. 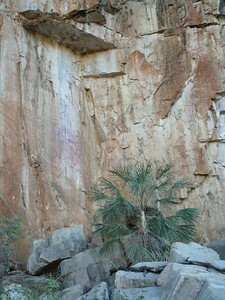 The paintings are well above ground level, so perhaps the Mimi (spirits) drew them! 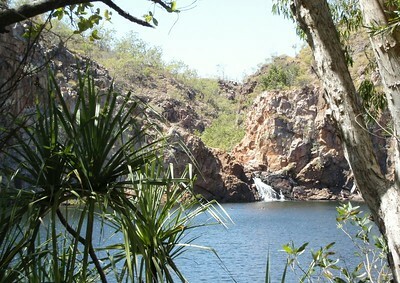 Edith Falls. 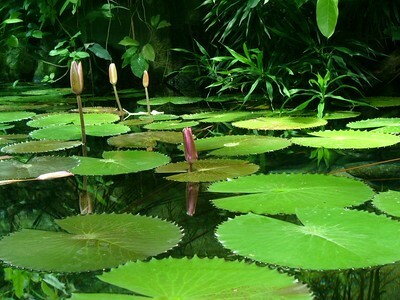 You can swim in this pool, there are no crocodiles! 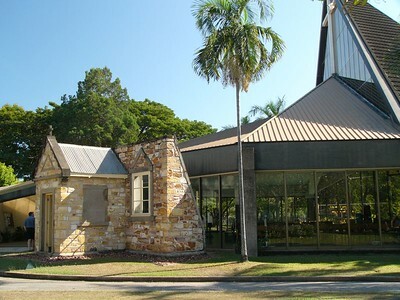 Christ Church cathedral, Darwin. 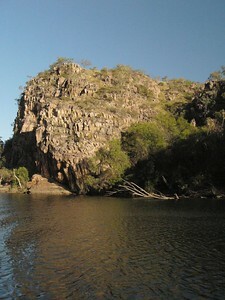 The original cathedral built in 1902 was devastated by Cyclone Tracey (1974). 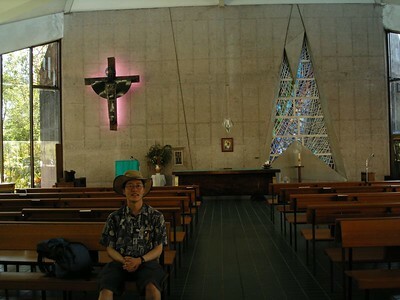 The cathedral was rebuilt in 1975 and incorporates part of the original structure. 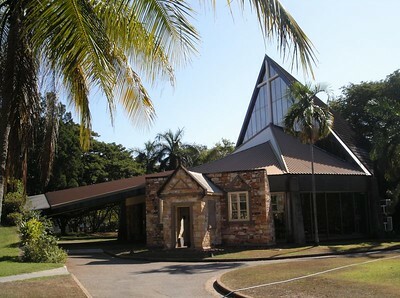 Christ Church cathedral, Darwin. 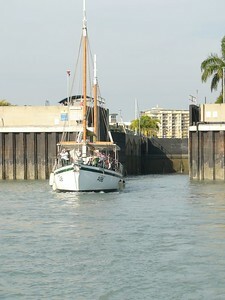 Darwin Harbour was named by by the captain of the HMS Beagle, Capt John Wickham. 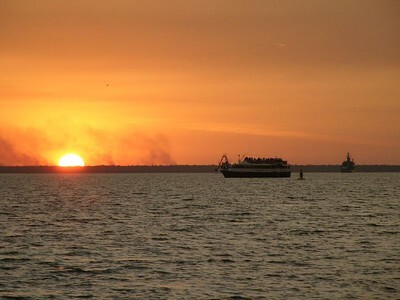 Capt Wickham named the harbour after a well-known naturalist who had earlier graced the HMS Beagle, namely Charles Darwin. 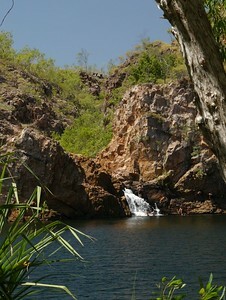 Darwin was originally named Palmerston, after the British Prime Minister Lord Palmerston. Lord Palmerston has not been entirely forgotten, however. 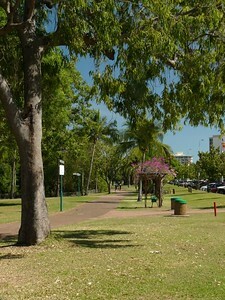 His name continues as the name of a major suburb of Darwin. 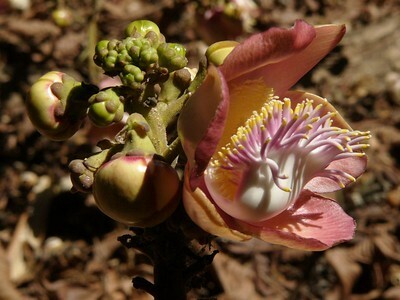 Cannonball tree at Darwin Botanical Gardens. 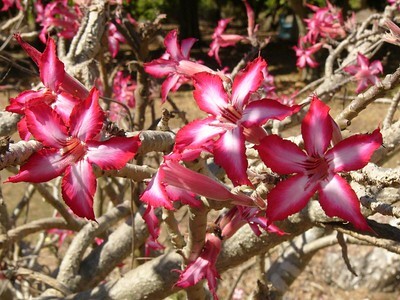 Flowers at Darwin Botanical Gardens. 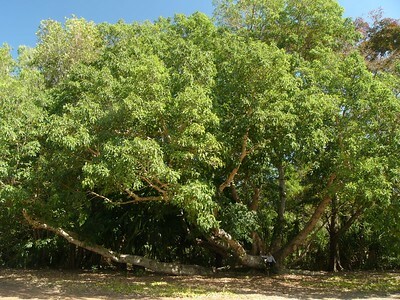 Cluster fig (Ficus Racemosa) at Darwin Botanical Gardens. 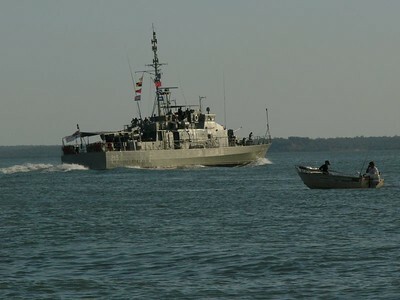 Patrol boat on Darwin harbour. 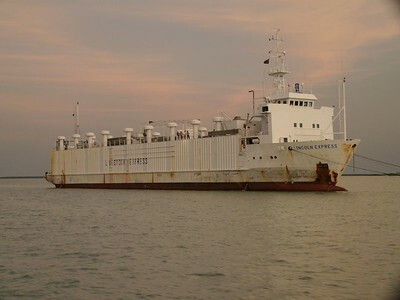 Livestock transport ship on Darwin harbour. 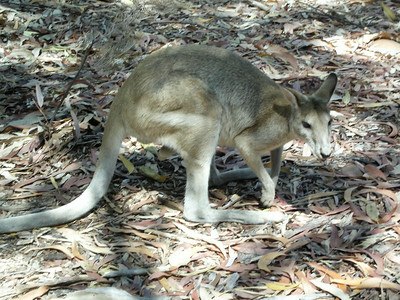 Live animals, cattle and sheep, are transported from Australia to other countries (mostly Muslim, who have ceremonial and ritual traditions regarding slaughter and sacrifice). 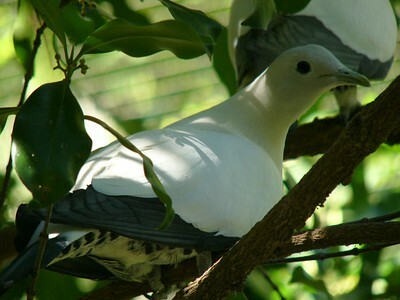 The trade is sometimes controversial, since some animals die during the voyage. 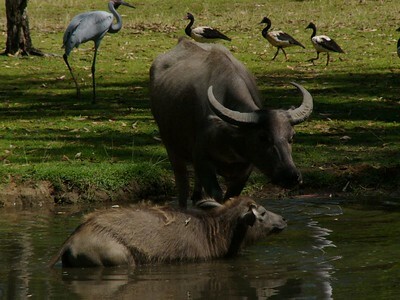 Water buffalo at Darwin Territory Wildlife Park. 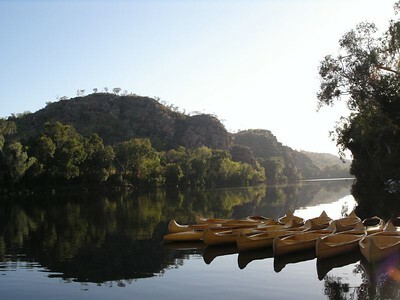 Magpie geese in the background. 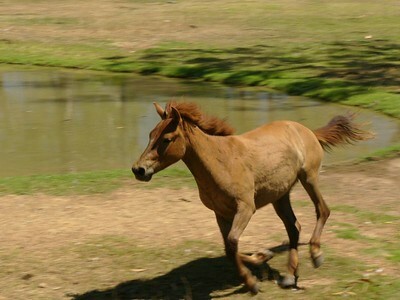 Timor Pony at Territory Wildlife Park, Darwin. 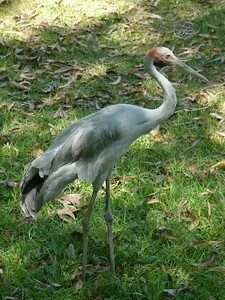 Brolga at Darwin Territory Wildlife Park. 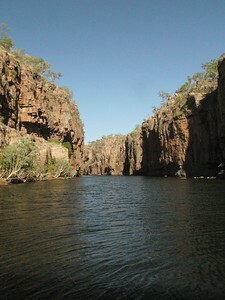 Aquarium at Territory Wildlife park. 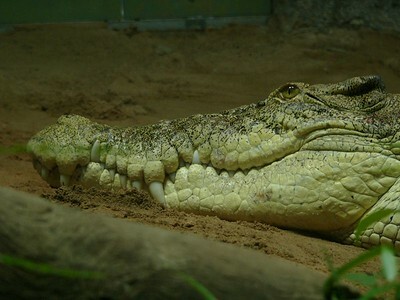 Crocodile in aquarium at Territory Wildlife park. 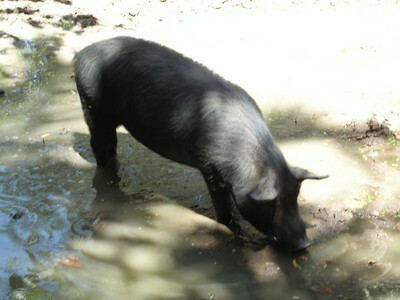 Boar at Territory Wildlife Park. 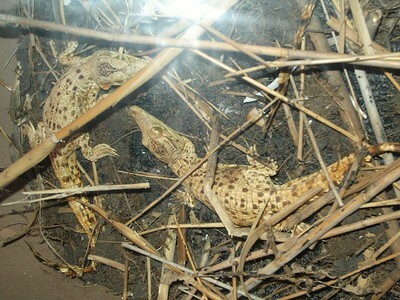 Baby crocodiles at Territory Wildlife park. (models only, I think). 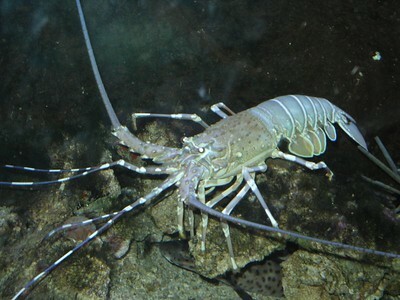 Crayfish at Territory Wildlife Park. 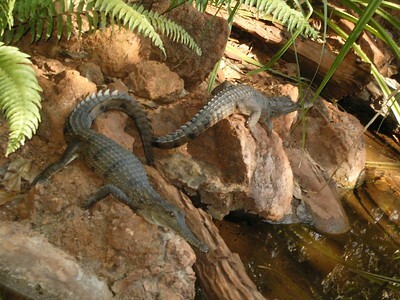 Freshwater alligators at Territory Wildlife Park. 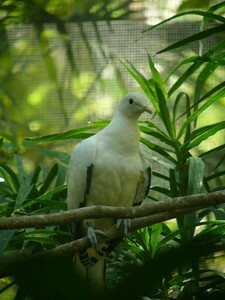 Pied Imperial Pigeon. 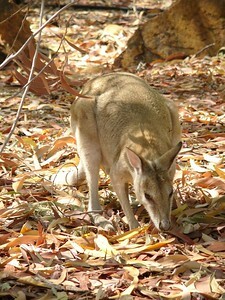 Territory Wildlife Park. 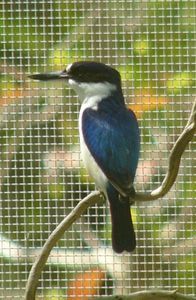 Forest Kingfisher at Territory Wildlife Park. 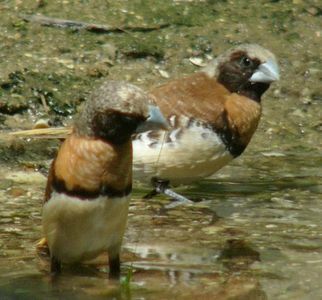 Chestnut breated mannikin at Territory Wildlife Park. 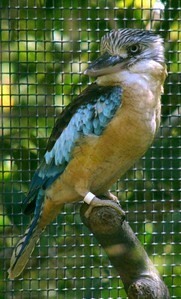 Blue winged Kookaburra at Territory Wildlife Park. 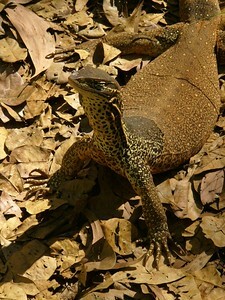 Merten's Water Monitor at Territory Wildlife Park. 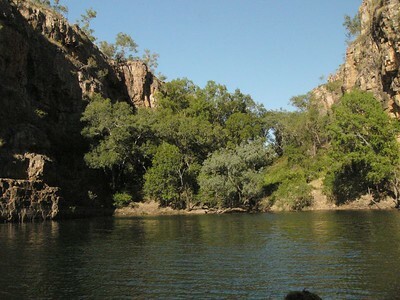 That wallaby at Katherine Gorge visitor centre again!